The incredible lead performance from Luigi Lucente is just one reason to catch Pursued by Bear’s all too brief season of tick, tick…Boom!. 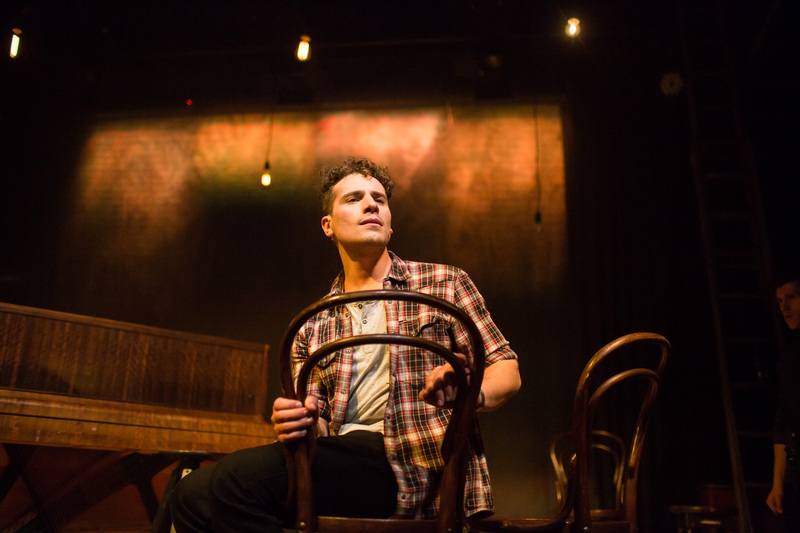 Surely one of the most talented music theatre performers in Australia not to have been exclusively snapped up to the big time, Lucente delivers another nuanced, sensitive, finely honed performance in this ideal showcase for his talents. Intensely focused but entirely natural, Lucente has a surreptitious charm that makes his characters highly empathetic and relatable. Originally presented off-Broadway in 2001, tick, tick…Boom! 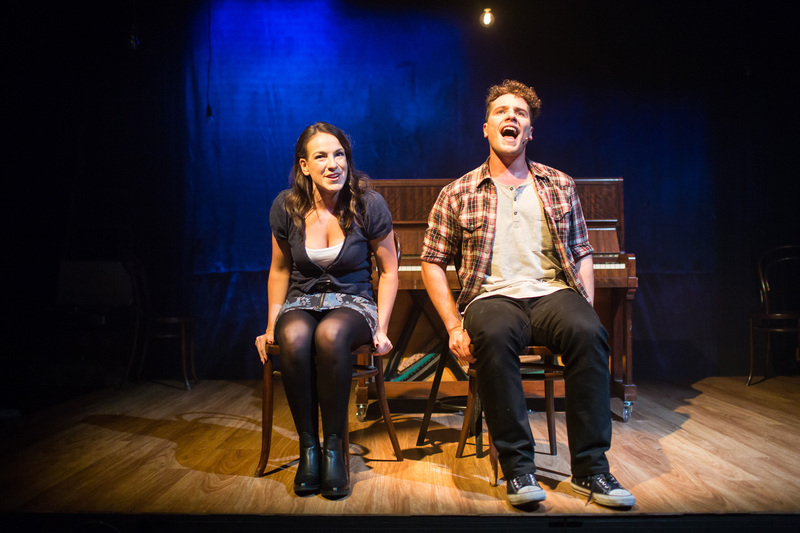 is a three-person chamber musical adaptation of an earlier rock monologue by Rent composer Jonathan Larson, who tragically passed away just as Rent was about to become a huge success. With his curls fashioned in the same style, Lucente clearly channels Larson, capturing the manic energy, tension and drive of the struggling composer on the cusp of his thirtieth birthday. Lucente’ expert performance mean that Jon’s highs and lows are keenly felt. 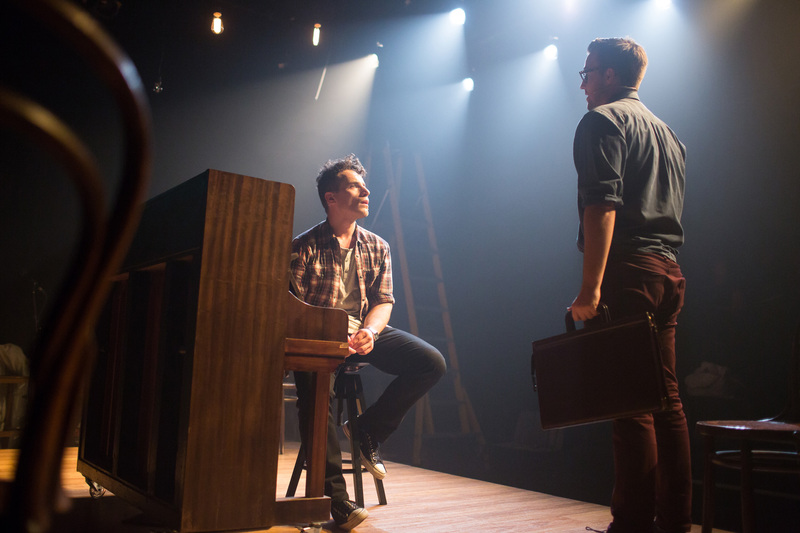 In addition to singing and acting his way through the entire 90 minutes of tick, tick…Boom!, Lucente also plays the piano on stage – without any sheet music. Set entirely during Larson’s lean times, this production plays with a musical subtext that indicates his future success by showing Jon dreamily toying with melodies that we all know will become a hit musical. Rent devotees will love these piano riffs. Familiarity with Rent also makes it clear that Jon saw himself as a keen observer of details and human nature, like Mark, as well as a struggling musician, like Roger. The poignant final piano riff is the music that accompanies to Roger’s I want phrase “I’m writing one great song.” Jon used to throw the apartment key down to visitors, just as Mark and Roger do for Collins at the start of Rent. The life of Jon and his friends in New York in the late 1980s and early 1990s was hued by the spectre of becoming HIV positive, a concept that is strongly prevalent in Rent. Musical theatre fans will also enjoy the running theme of Jon’s preoccupation with Sondheim. 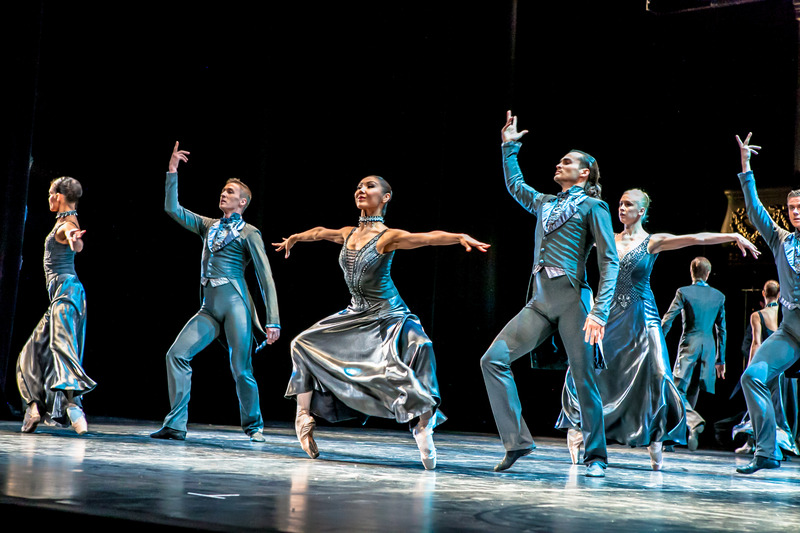 The company number “Sunday” is a delightful homage to act one finale “Sunday” from Sunday in the Park with George. Strongly supporting the sharp but frantic creative mind of Larson is the highly detailed, immersive production design of Sarah Tulloch. The piano is the central feature on a platform of wooden floorboards, which is surrounded by a myriad of strewn pages of sheet music and all manner of inspirational minutiae. Lighting designer Jason Crick cleverly conveys Larson thought process with a range of overhead light bulbs. A striking feature of the design is the abstract rear backdrop that picks up rich lighting colours to sumptuous effect. Director Paul Watson presents the work with a strong air of realism rather than stylised reminiscences. 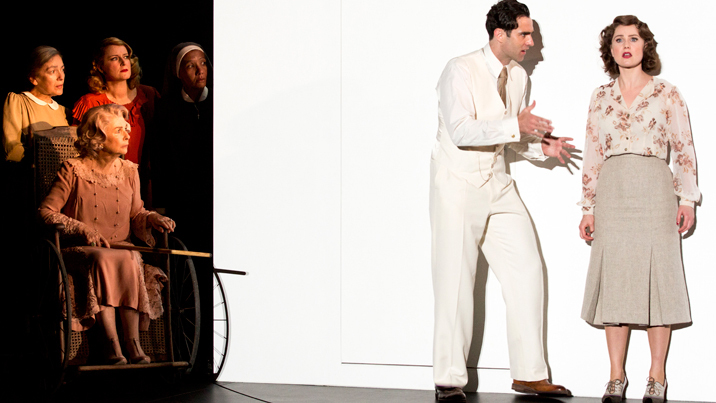 Strong dramaturgical work allows Larson’s stream of consciousness to make clear sense in terms of storytelling. The multiple characters of Lucente’s two fellow cast members are clearly defined. The three central characters suffer from the characteristic self-centred narcissism of New Yorkers yet ultimately remain likeable. 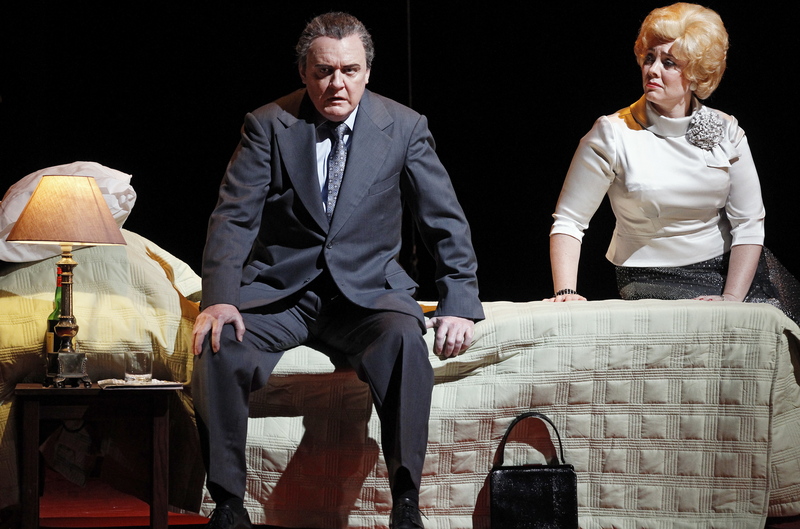 Most importantly, Watson manages to imbue the short work with sufficient gravitas for the dramatic last minute twist of fate to pack a significant punch. Musical director Jess Barlow has achieved a mellow light rock sound with the four-member band. Larson’s songs here are not as complex and infectious as those in Rent, but his intelligence and playfully innovative style shine through. 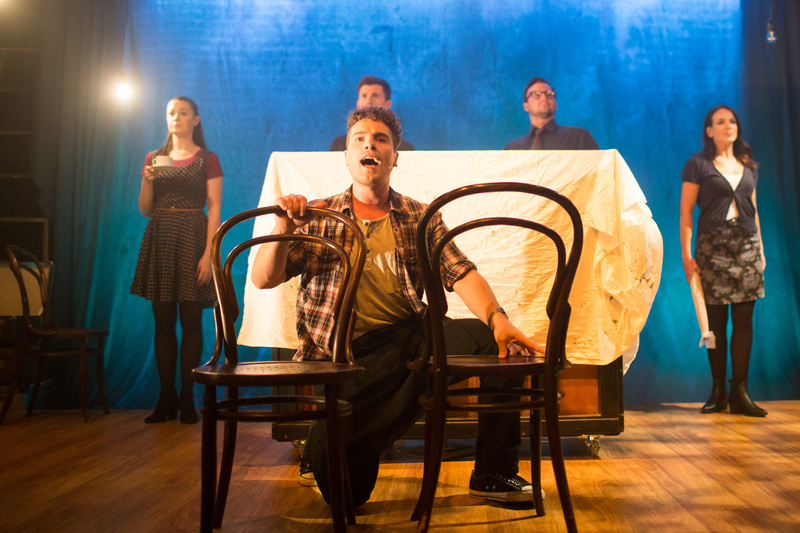 The music is enhanced by the inclusion of two additional vocalists, Rebecca Hetherington and Mitch Roberts, who perform in character, so to speak, with actually playing characters in the show. 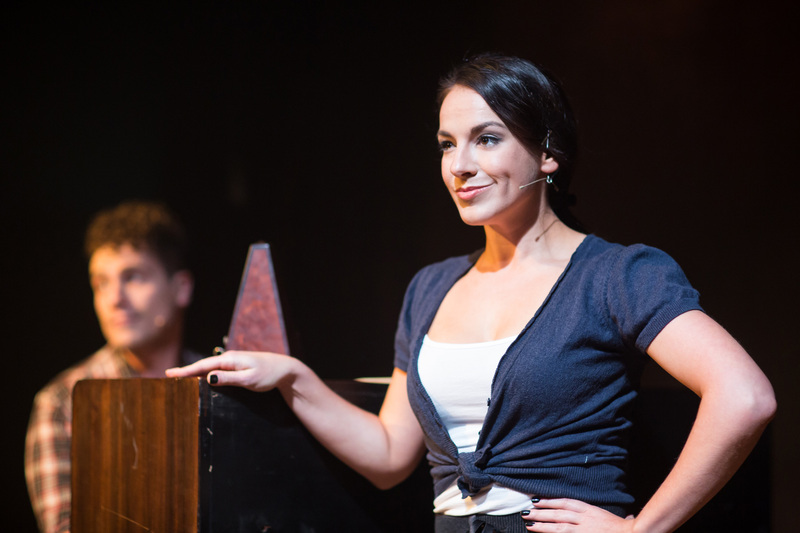 Angela Scundi is a strong singing and acting partner for Lucente. Primarily playing Jon’s fading love interest Susan, Scundi is particularly successful at delineating her different characters, instantaneously changing her voice, expression and body language to strong effect. Quin Kelly gives a solid performance as Jon’s best friend and departing flatmate Michael, conveying the smug yet unsettled satisfaction of a man who has seemingly achieved life’s superficial goals. 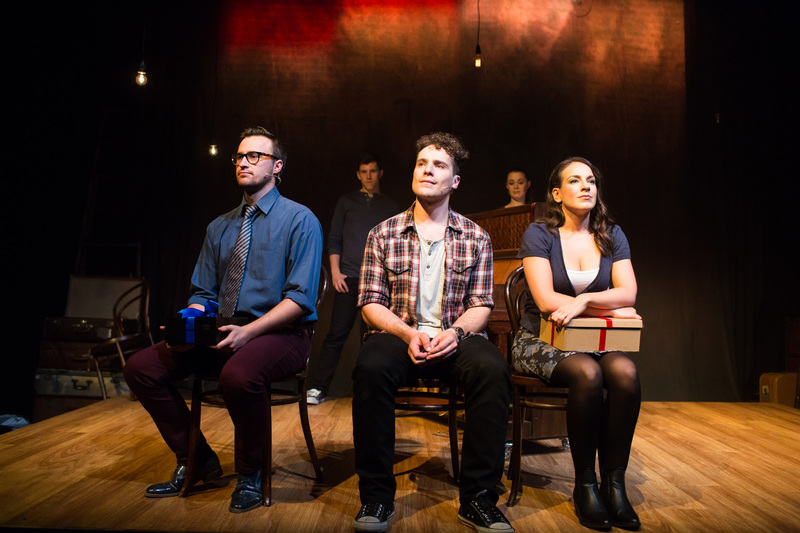 A classy production, tick, tick…Boom! is an excellent addition to the year’s boutique musical presentations. Attendance by music theatre devotees is strongly encouraged.